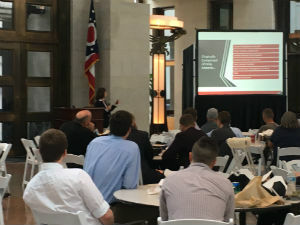 The Ohio Aviation Association was pleased to partner with AOPA, EAA, and ODOT Aviation to educate, communicate and advocate at the Statehouse. 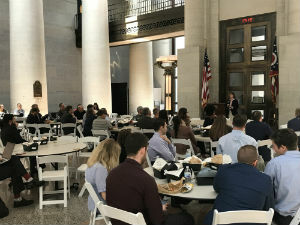 With exhibit tables set up in the Rotunda and a lunch in the Atrium, AOPA, ODOT, and OAA helped to get the word out about aviation in the State of Ohio! 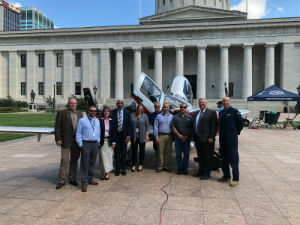 AOPA was able to get Cirrus to bring in an SR-22 for display outside the Statehouse for some excitement! For a copy of the OAA presentation, click here. 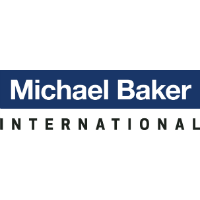 Make sure to watch for the date of OAA's spring Legislative Day so you can plan to help! 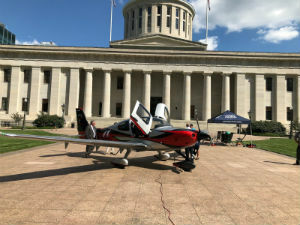 Above: Cirrus SR-22 parked in front of the Ohio Statehouse! 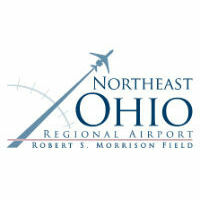 Above: ODOT, AOPA, EAA and OAA post in front of the Cirrus SR-22. 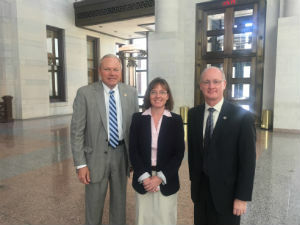 Above: (L-R) Rep. Reineke, Exec Dir Stacey Heaton, and Sen. Beagle at Aviation Day. Above: Executive Director, Stacey Heaton, addressing the crowd at Aviation Day. Above: Executive Director, Stacey Heaton, presenting to the crowd at Aviation Day. 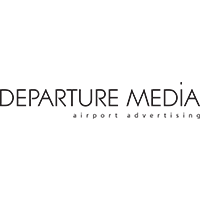 Comments on "OAA Joined AOPA, EAA, and ODOT for Aviation Day"